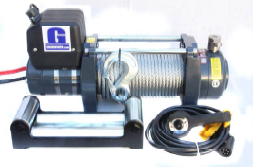 Goodwinch TDS/KDS-10.0c with solenoid pack over the motor. 10,000 lbs c/w roller fairleads and wire rope. 173:1 ratio. This is a short version of the TDS winches with the brake inside the drum instead of the end of the gearbox. 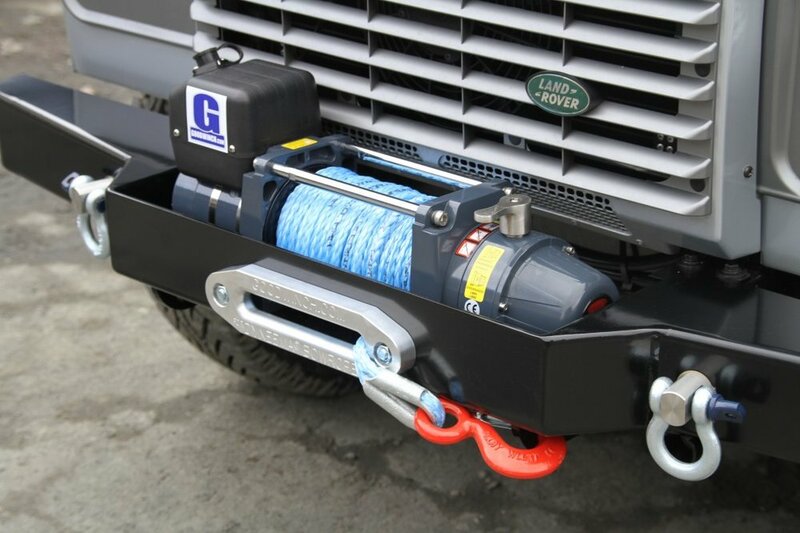 The ideal replacement for shorter offset winches. Heavy duty series wound motor delivering high torque and fast line speed. Three stage planetary gearbox giving a highly reliable and durable performance under the worst conditions. The KDS-10.0 is equipped with the innovative Flanges braking system. Rotating ring gear clutch with easy to operate freespooling lever. 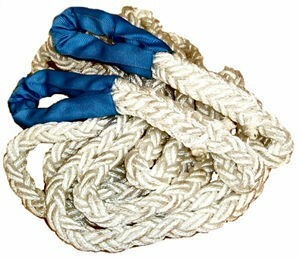 Comes with standard wire rope 8.7mm x 30metres and roller fairleads. As an option, Dyneema® Bowrope and Aluminium Hawse (10mm x 30 metres) is available.